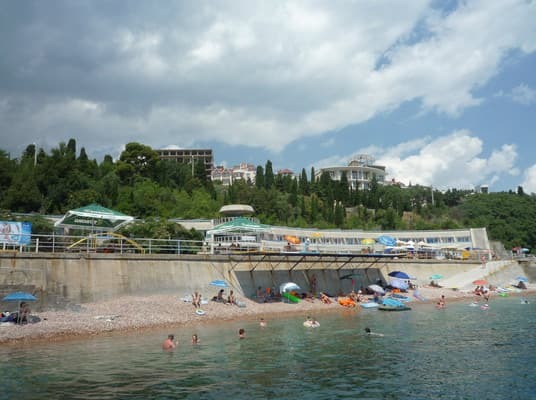 Sanatorium "Sea Corner" is located in the picturesque valley of Cholmekchi. 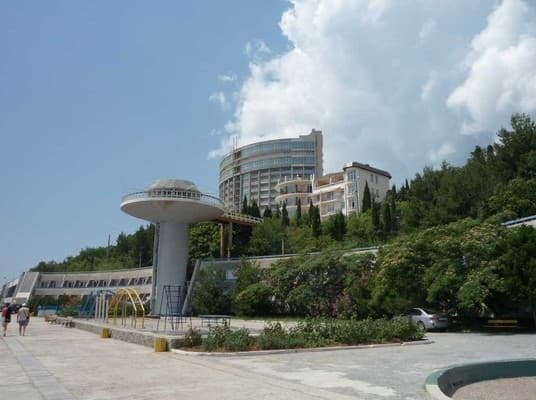 All buildings of the sanatorium "Sea Corner" are not more than 80 m from the sea. Guests are provided with rooms with all amenities, as well as refrigerators and televisions. 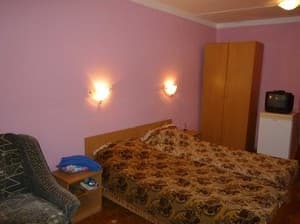 Also there are rooms with partial conveniences, which allows you to make a holiday on the shore accessible to everyone. At guests' disposal there is a 500-seat concert hall, where you can watch new films, concerts, as well as performances by famous artists. In the lobby of the club there is billiards and table tennis. Cold water is always hot, according to schedule. Works from May to October. 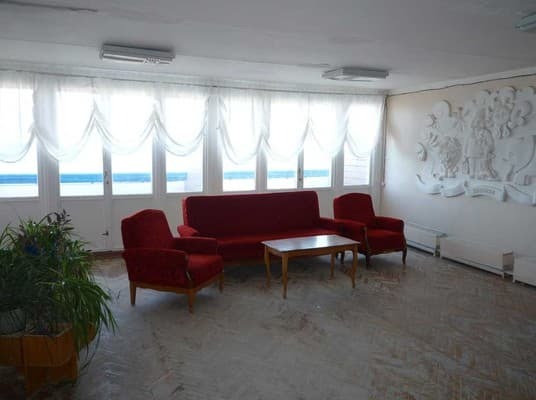 Description of the room: The room is located in Building 1, 30 m from the sea. 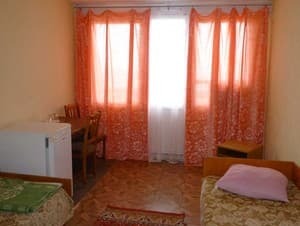 Description of the room: The superior room is located in Building 1. The building is 30 m from the sea. Description of the room: Number is located in the building number 2. The windows face north. The building is 80 m from the sea. Description of the room: The room is located in Building # 2. The windows face south. The building is 80 m from the sea. Children under 4 years without a seat and food - 30 UAH / day, from 4 to 12 years when placed on an additional place - 30%, from 12 years and adults - 20%. 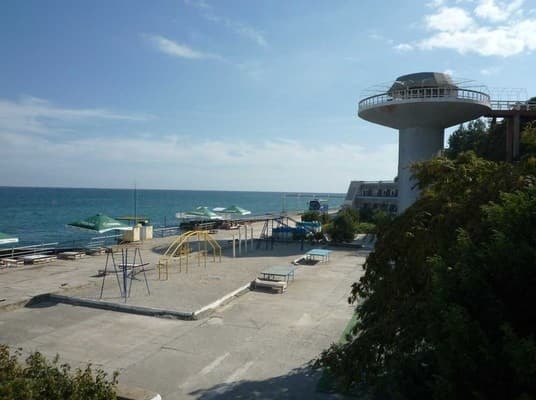 Professor's Corner of Alushta, at the foot of Mount Kastel, on the beach. The sanatorium is next to the Aquapark. 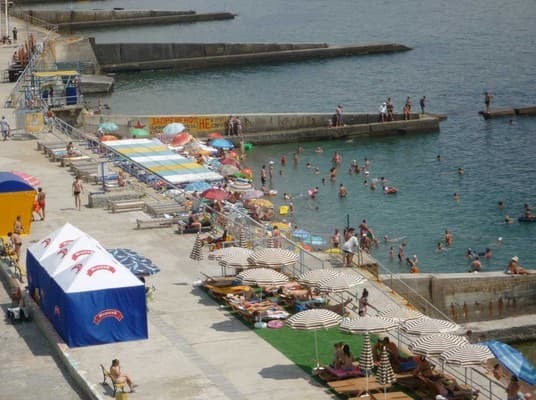 From Simferopol by bus or trolley bus to the bus station of Alushta, then by public transport to the sanatorium.